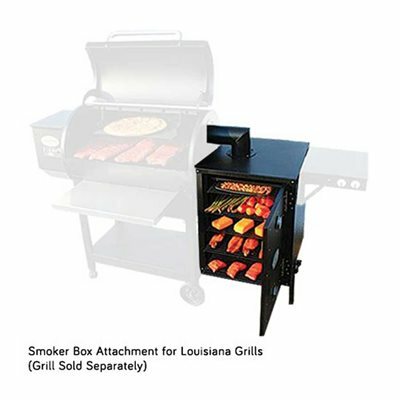 Add this dedicated cold smoke cabinet to your Lousiana Grills for smoking and curing meats, fish or cheeses. 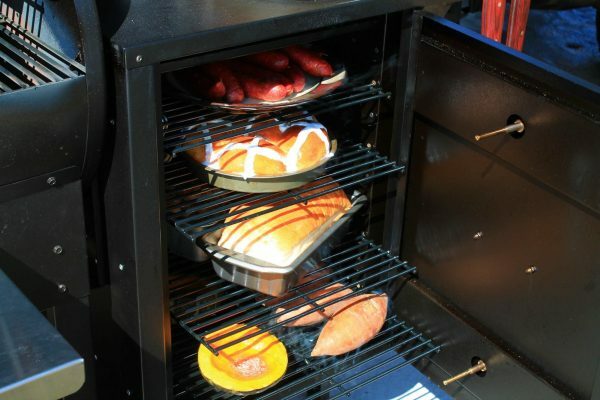 A damper allows control of air flow from the main grill as well as vents in the smoke cabinet. Minimum smoking temperature is dependent on ambient temperature. 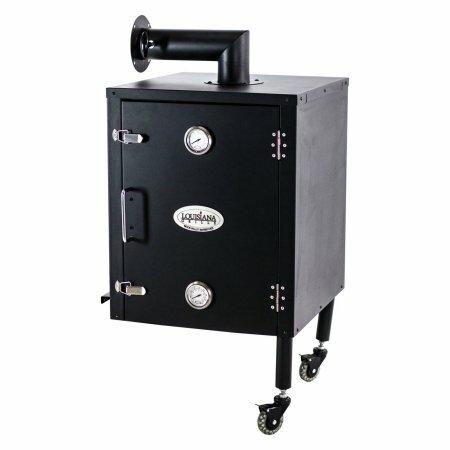 Dual thermometer positioned high and low on the front allow you to carefully monitor temperature. Magnetic latch holds door snuggly closed.